No one likes to leave a beloved family member behind when they leave the house. For decades the only choice pet owners had to care for their animals during a vacation was a boarding kennel or cattery. Now there are also professional pet sitters to provide care and companionship. What’s the difference? Routine. We all get a bit cranky when our daily routine gets thrown out of whack. Animals are no different. 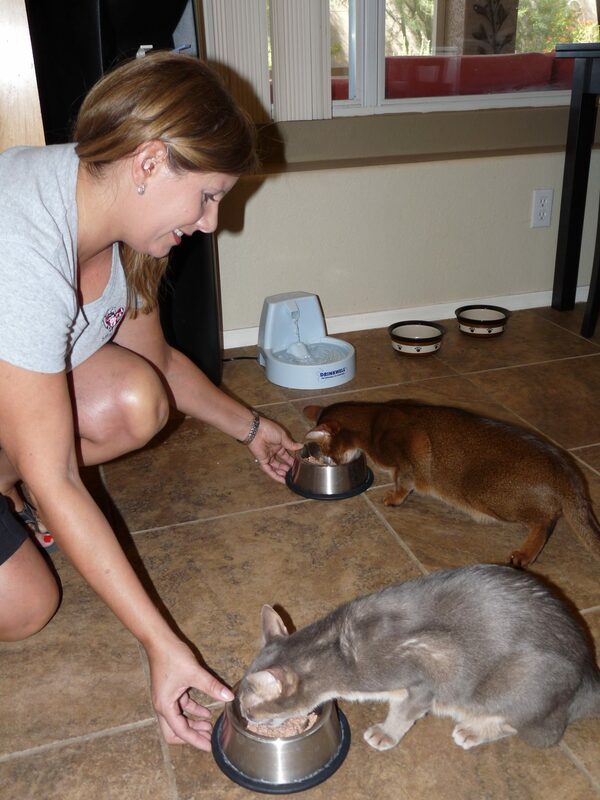 A pet sitter will provide feeding, exercise and bathroom breaks on the schedule you have set up for your pet. At a kennel these needs are met on their schedule. Reduce Stress. 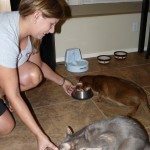 Keeping a regular schedule and same diet is especially important for any pet especially a puppy or kitten. Same Environment. Staying in the familiar home environment will also reduce any stress on your pet during your absence. And who doesn’t prefer sleeping in his or her own bed – or couch, as your dog prefers? Personal Attention. Even the best-staffed boarding kennels cannot deliver the same one-on-one attention as a pet sitter provides your dog or cat. A pet sitter will also be equipped to better handle special needs. At TLC House & Pet Sitting we can also stay with your pet through the night. Multiple Pets. According to statistics from the American Pet Product Manufacturers Association half of all pet owners keep both cats and dogs in the house. Throw in fish and birds and reptiles and you have a menagerie that no boarding facility can handle. Diseases. The close living quarters of a kennel promotes the spread of contagious diseases. You may not want to expose your pet, especially vulnerable young animals, to these conditions. Or you may not want to give your dog the vaccinations that some facilities require. Communication. There is no substitute for Peace of Mind when you are away from your pet. At TLC lines are always open to your pet sitter with voicemail, texting and daily notes. Other Services. During a home visit a pet sitter can gather mail, water plants and generally keep your house looking “lived-in” while you are away.